In 1997 we went and stayed at our friend Raji and Mani’s place in Vashi – we had just shut down our business and were trying to find opportunities in Mumbai to restart our careers. One of those days, Nisha took us to a roadside pushcart vendor and introduced us to “dabeli” a snack that is made with the famous Mumbai “pav” and a filling that is special. I got hooked and have tried it in many different places but, the Vashi one was the best. When I visited the Belapur office of Wipro BPO in 2002, I drove down to Vashi one of the days with Smitha and again managed to find this particular pushcart vendor and ate my fill. Yesterday we were at our Vashi office and I told Navendu I have to find this vendor. I was crossing the sea over to Vashi after 11 years and I wasn’t sure if the vendor was still around. We tried the first two left turns and finally I called Nisha and the third left got us to “the” vendor !! 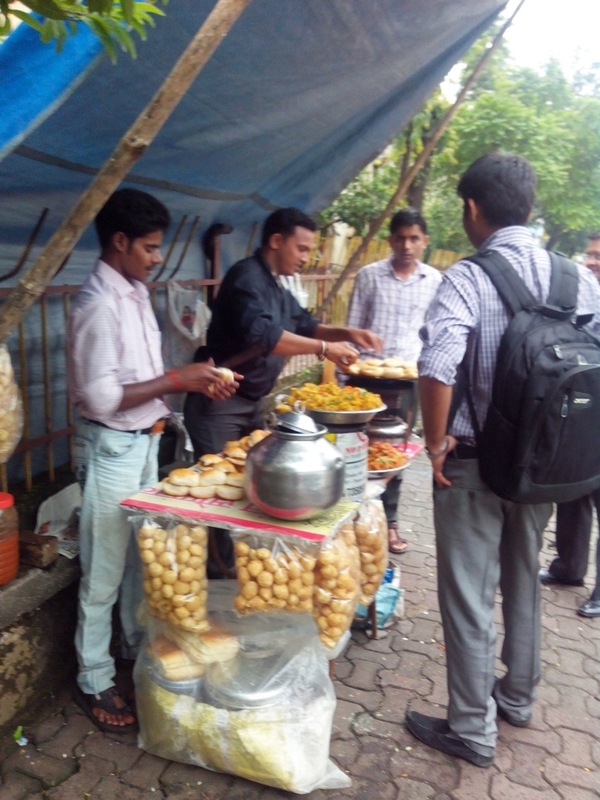 His pushcart has been changed to a different one, but his dabeli tasted just as good. Navendu asked him about how long he had been selling from this place and he said twenty years 🙂 apparently the owner was someone else and this guy was working for him. 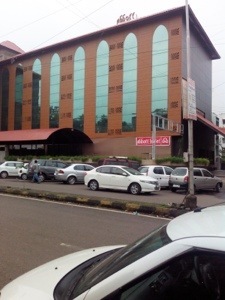 I gorged on the dabelis and today before leaving Vashi I went with my office colleagues again and ate again. Bliss !! And nostalgic for many reasons …. The circumstances we were in then and how much has changed in 16 years, so many conversations with Nisha and now we have Advisor Aaliyah 🙂 just a tapestry of memories associated with this pushcart vendor and the dabeli he serves.